Aldous Huxley died on the same day as John F. Kennedy. It’s an interesting factoid, but does it mean anything? Here’s one take on the possible significance. 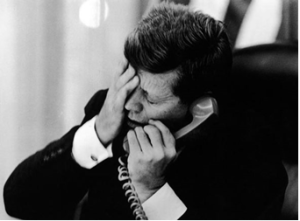 John F. Kennedy would have turned 100 today and we can only imagine how he would feel about the current president. There might be a few clues in the following excerpts, which display Kennedy’s wit, perception, and originality.